When I announced my 2018 Blind Spot picks I was planning on reviewing one of the last Studio Ghibli films for me to check off my list, The Cat Returns, in June but it ended up being the Studio Ghibli Fest selection for April, so I am swapping my picks and will review The Green Mile in June instead of April. (On a side note, if you aren’t seeing the Studio Ghibli Fest films you totally should! It’s an amazing opportunity to see these anime films on the big screen). So what did I think of The Cat Returns after seeing it on the big screen? Well, while not the greatest Studio Ghibli film by any measure, I was thoroughly entertained by the creative and strange story of a young girl and her adventures in a world of cats. 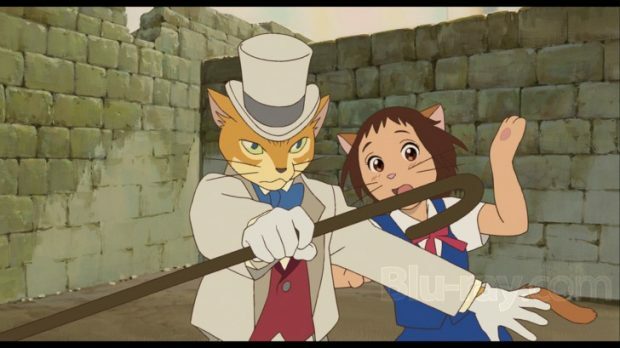 The Cat Returns is directed by Hiroyuki Morita and is his only feature for Studio Ghibli . It is evidently based on a manga and is a pretty strange story. Like many Ghibli films, it focuses on a young girl as the lead character. Her name is Haru and one day she saves a cat from being hit by a truck. Unbeknownst to her she has rescued Lune, Prince of the Cat Kingdom. In an effort to repay her she is taken to marry Lune, and she even starts to develop cat-like qualities such as whiskers and a tail. Fortunately there are two cats who come to her defense and help her find a way out of the Cat Kingdom before it is too late: a suave debonair cat named the Baron (also featured in Whisper of the Heart evidently) and an overweight white cat named Muta. These characters were a lot of fun. I thought the Baron had a bit of a Sherlock Holmes vibe to him. He is cocky, not very self-aware and loves to make a special kind of tea. Muta is a curmudgeon who gets a lot of the comic relief of the film. 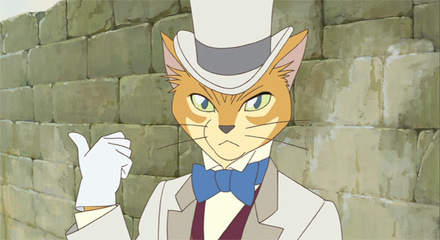 The Cat Returns is definitely an odd film, but I found the world-building to be very unpredictable in an appealing way. It is also witty and unlike some Ghibli films, it doesn’t take itself too seriously. This is just a strange, comic fantasy, and I enjoyed it on that level. At 75 minutes it also doesn’t outstay its welcome and become boring. The music by Yuji Nomi almost seemed too orchestral and grand for such a silly story but it is beautiful. The animation is of course great, and I loved the way the characters moved and flowed through scenes. Plus, there is something cute about all these cats! 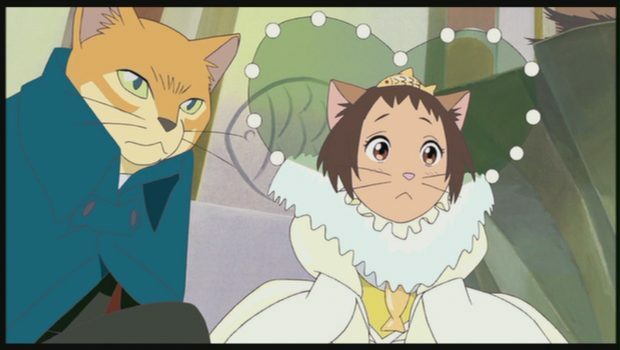 It doesn’t have the emotional complexity that the great Studio Ghibli films like My Neighbor Totoro or Princess Mononoke have, but I still enjoyed The Cat Returns. It’s a fun little creative, strange romp through a world of cats! It kind of reminded me of Porco Rosso in a way- a comedy with anthropomorphic animals/human merging in together in unusual ways. I did see it with the English dub that has Anne Hathaway playing Haru, Cary Elwes as the Baron and Peter Boyle as Muta. They all do a good job and are perfectly fine in their roles. Only one more Studio Ghibli film for me to see (Whisper of the Heart) and I will be finished their entire canon! What do you think of The Cat Returns? 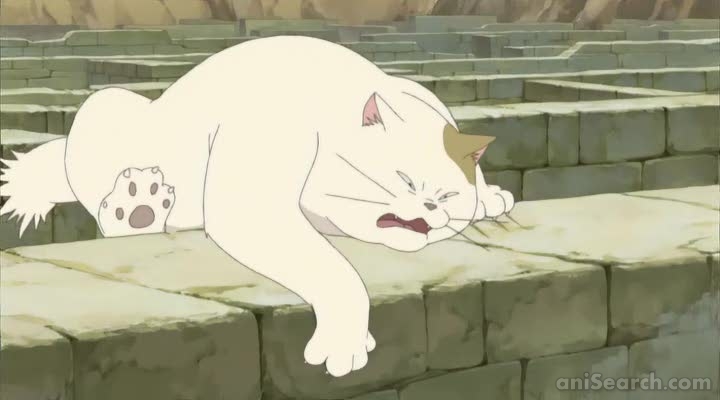 I love the cat returns! I’m a cat-lady myself and so as a kid it was one of my favorites, and I still can watch it now. Oh, I’ll definitely have to check that out! Oddest Ghibli movie ever…..I kind of liked Whisper of a heart, even though I am not into slice of live stories at all, but this one kind of lost me. Ghibli did the “getting trapped in a different world” story way, waaaaay better with spirited away. I have seen Whisper of the Heart, so I knew that this was a sort of sequel to the film, in so much as it features the fictional character of the Baron Cat. But, I haven’t seen this film yet. I loved several of Ghibli films, but this one, surprisingly wasn’t among them – and I can’t decide why. It is kid-friendly, which I love, fantasy, which is a favorite genre… maybe I just didn’t “get it” for this one? Perhaps the cultural disconnect tripped me up (like I was expecting classic fairy tale beats and didn’t get them?). 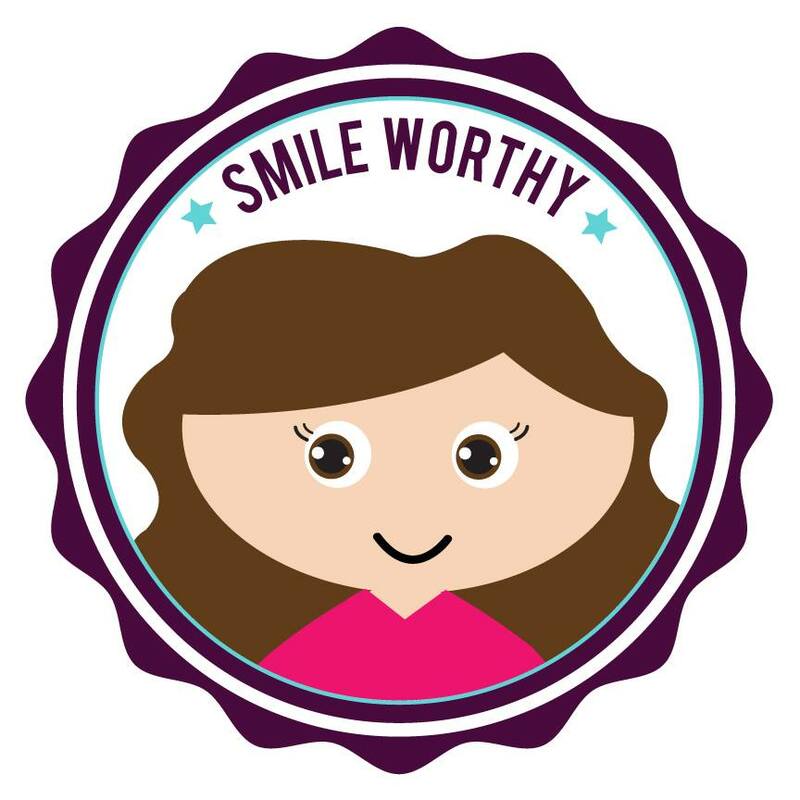 In any case, you are probably right in your scoring for this one – good, but not the best. 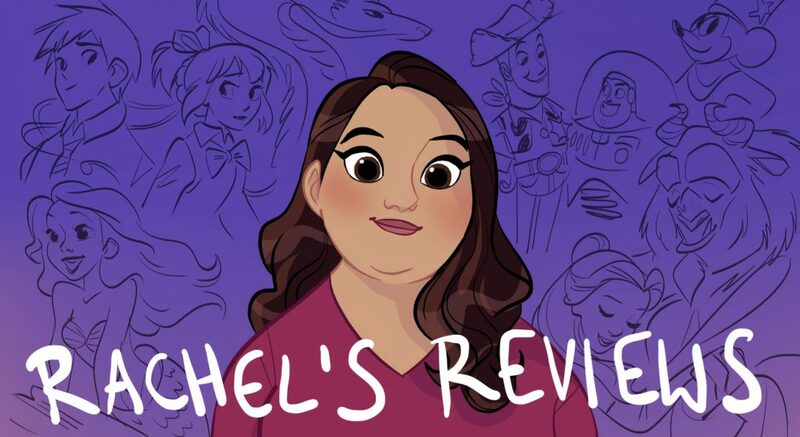 Pingback: Blind Spot 35: Whisper of the Heart – Reviewing All 56 Disney Animated Films And More!